Represent pay tribute to their British heritage by exploring different forms of it's counter-culture movement as bucket hats, cross-body bags and full tracksuits in rich tones encapsulate a carefree and creative era, mirroring the environment of the U.K’s past creative scene. Represent is a proudly British brand. All mainline garments are produced in the UK in keeping with the label’s DNA as well as each release containing powerful graphics which emphasise the passion for their heritage. The company has grown exponentially since its inception, into a world-renowned brand with every more heavily anticipated releases year on year – and this campaign is no exception. The renowned streetwear label, Represent, has undeniably flourished into a global fashion brand from its Mancunian roots and has accustomed to fashion shows becoming a regular occurrence alongside celebrities such as the Kardashians and Justin Bieber choosing to adorn themselves with their goods. Now, it looks like the brand is keen to carry on the momentum they have generated. 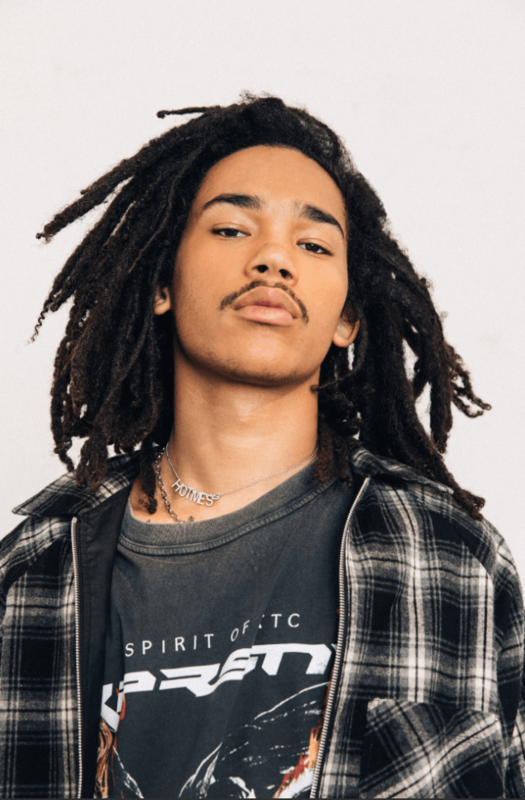 And what better way to do that than to link with the likes of Luka Sabbat! Take a look at the campaign’s imagery below, and you can check Represent’s online store for the latest offerings.